Size: Approx. 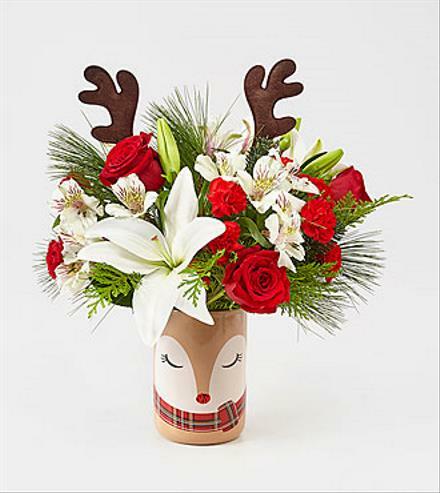 Height: 14" Width: 14"
Brant Florist’s Stunning Style Bouquet attracts attention in any room its placed in. Designed with an array of red roses, protea, seeded eucalyptus and assorted Christmas greens, this collection is handcrafted in a textured dusty green ceramic vase certain to shine brightly throughout the holiday season.